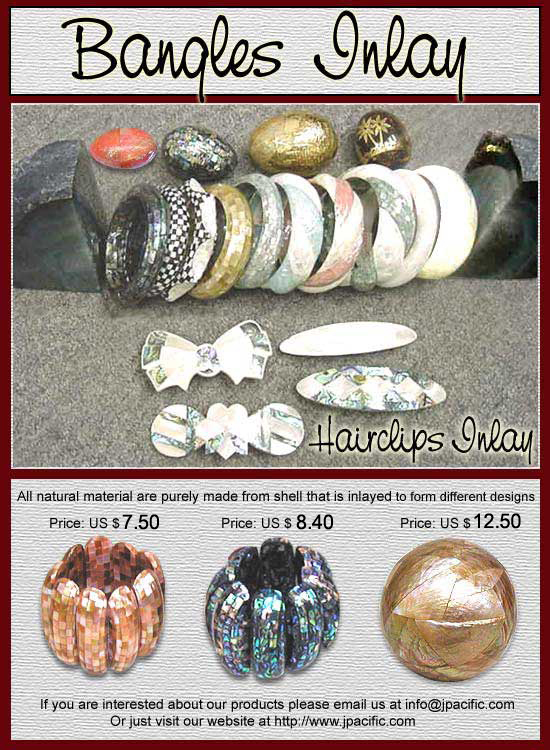 Shell Inlay are available in any shapes, designs and shell used. It can be in a form of fashion items such as hairpins, bracelets, bangles, magnetic decors, pendants, brooche, keychain, miniatures, pill box, jewelry box, buttons, coin purses, pendants, picture frames and a lot more. It can also be in a form of flower vase, pots, balls, mugs, plates, spoons, chairs, tables and other decorative items. We also accepts customers designs at a very cost effective price. 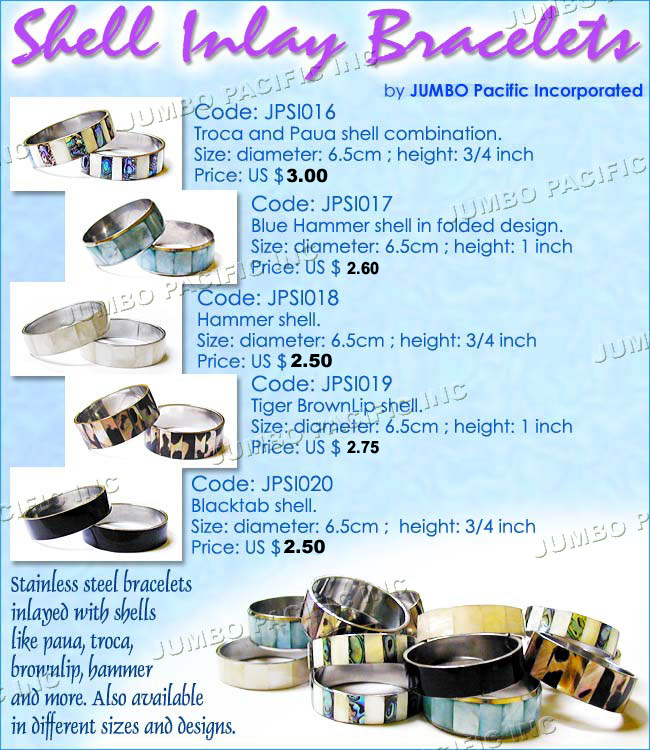 It is purely handmade and handcrafted by the finest shell inlay maker here in the Philippines. For more information and designs keep on following us or you may contact us. Please refer below for the contact information.